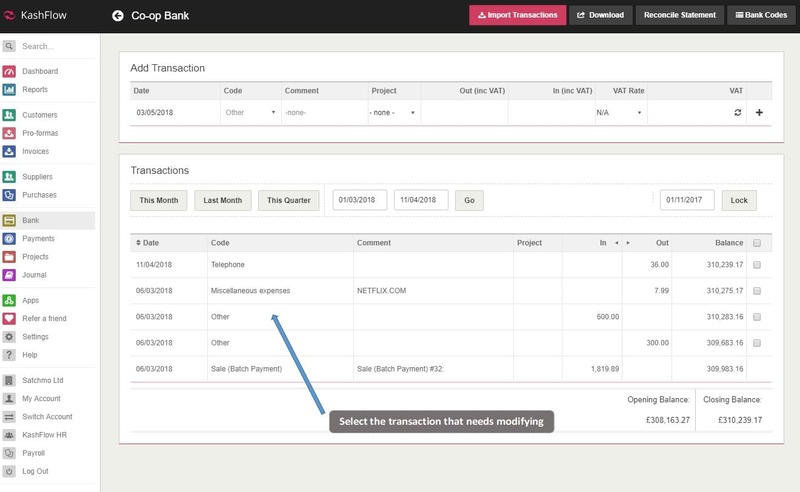 To modify a transaction just click Bank > View/Add Transactions button > Click on a transaction > Change any details > Click Update. If you select a payment that is associated to an invoice or a purchase you will be taken to that screen where you can amend the details. 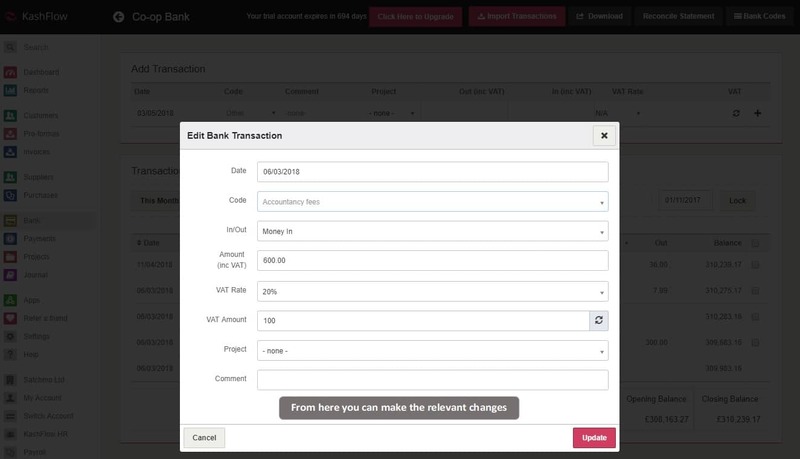 Selecting a bank transaction will take you to the screen shown below. If you have entered a bank transactions into the wrong bank account, you would need to delete this transaction from that bank account, open the correct bank account, and add the transaction. Please be aware that changing a transaction that has been previously reconciled will cause that and subsequent reconciliations to be incorrect, you will have to re-reconcile all reconciliations thereafter.